I LOVE long and full eyelashes. They just look SO glamorous to me! Last year, just before Christmas, I tried lash extensions. I was enamored by the thought of thick lashes and the ability to go a few weeks without mascara. Unfortunately, I had a bad reaction to the glue! I was sitting at a family gathering and my eyes were getting more and more red. My relatives started asking my what was wrong with my eyes….needless to say, it was a little embarrassing. I tried to get into a clinic two days later because my eyes were getting worse and worse!!! Eventually I just ended up steaming the extensions off in the shower and using Polysporin drops to clear my eyes up!! Epic fail! So, extensions are not for me, but I’ve been on the hunt to find products to help thicken and lengthen my natural lashes. I’ve found two products that really help to amp up my lashes! 1. RapidLash – You hear a lot about different serums that promise thicker, longer lashes, but I have to say, this stuff REALLY works! Not only can you use it on your lashes….have you overplucked your eyebrows???? This product can help with that too! 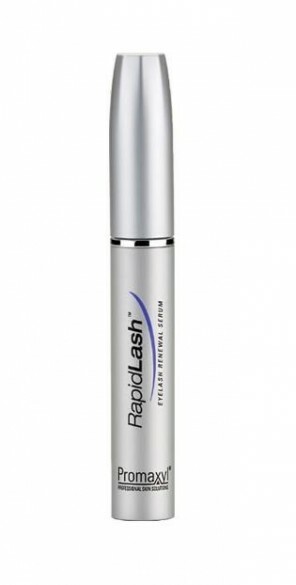 RapidLash is a bit pricey….you can purchase it online for about $49.99 and many retailer stores in Canada (London Drugs, Shoppers Drug Mart) sell it for about $59.99. But recently, London Drugs had RapidLash on sale for $39.99. I’ve also purchased it on HauteLook for about $25.00 + shipping. I’ve even bought it at Nordstrom Rack!! You need to use it nightly for about 4 weeks to see results!! My mom is currently using it to amp up her brows and lashes. Be warned…a beauty consultant once convinced me to buy another brand that promised the same results and it didn’t do close to what RapidLash does! 2. Mascara – I’ve tried a lot of mascaras in my day from drug store brands to high end mascaras that promise you the world! Well, my stand by is Maybelline Great Lash. It’s been around forever, but it is my fave and it’s inexpensive! 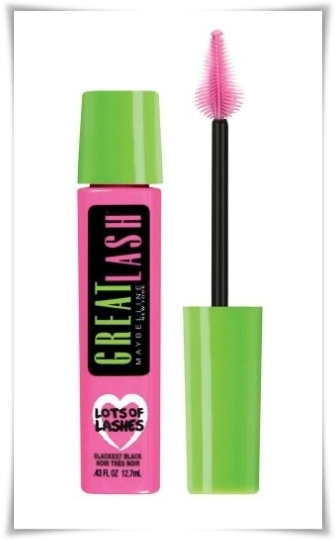 Recently, they have introduced a twist on this brand called “Lots of Lashes” and I LOVE the shape of this brush. The thin end allows you to get the smaller lashes at the inner corner of your eye. I like it best in “Blackest Black”. 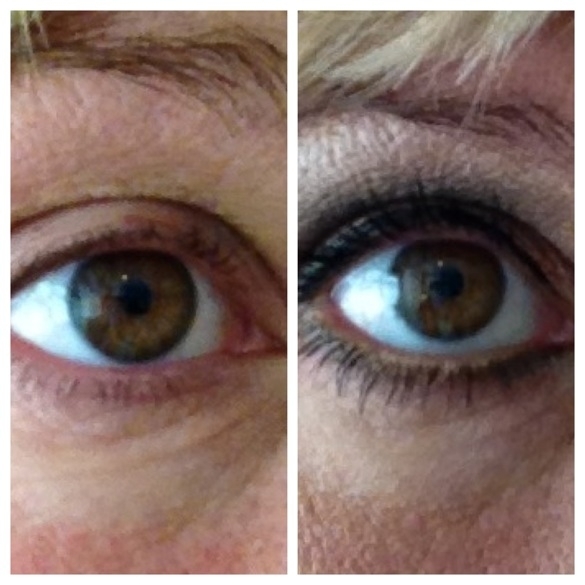 Seriously, you don’t need to spend a fortune on your mascara to get a great result! This mascara sells for about $6.99!! I use an eyelash curler before I put on the mascara.